Book your transfer with Airbus Airport Shuttle on our Private Airport Transfer service today! At Airbus Airport Shuttle our Private Airport Transfer service is available for transfers between Sydney Airport, and 900 locations across Australia. The Private Airport Transfer service aboard Airbus Airport Shuttle is an express on-demand door-to-door transfer service. Your vehicle will be travelling exclusively for you and your group, directly without stops or delays, to your destination. Your transfer time will be best suited to match your specific requirements and the driver will pick you up and drop you off whenever it suits you. Our Private Airport Transfer service is available 24 hours a day 7 days a week and can be booked up to 1 hours ahead of travel. At Airbus Airport Shuttle we offer fixed transfer fares starting from $69.34 AUD total one-way and with enough seat capacity for up to 3 passengers. Your final fare with us includes luggage allowance for 1 carry-on bag and 1 check-in bag per passenger. Also included in all our fares are airport parking fees, any tolls along the route and your drivers waiting time. Airbus Airport Shuttle is a transport company based in Australia and we have been a professional transport supplier on Jayride since April 2013. AirBus Sydney offers a wide range of transport solution in and around Sydney. AirBus Sydney is a city based transportation company that satisfies your travelling needs by providing fast, safe and cost efficient transfers. Our fully air-conditioned 2008 model HIACE commuters are kept to a 5 star standard. We cater for all your transport needs whether you're a conference with multiple transfers or just a single traveller. Conferences are our specialty, always providing an accurate number of seats for each transfer. 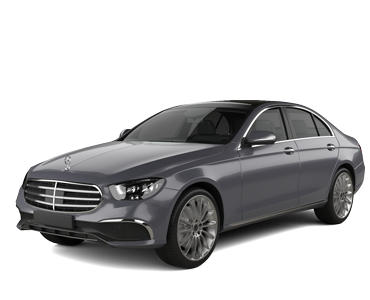 Our wide range of vehicles can transfer delegates in luxury to their conference. Our drivers meet and greet you at the airport with a name sign and transfer your party in style to their destination. Driver on time and really friendly. Made sure we were all good on arrival at the airport. Service was very good. Arrived on time, drivers courteous and helpful. Recommended. The service we had from ship to sydney airport was excellent great driver ,good van ,will use Jayride and AirBus again.